Is a kitchen remodeling worth it? Many people wonders if there is value in remodeling a kitchen, and assuming this is the case, what the catch? The answer is much more complex than you realize, because the word value itself is somewhat subjective. We will explore three central points that can answer this inquiry. The first is the recouping value for cost of your project. The second would be the attractiveness level, and the third is the personal comfort value which can’t be defined by simple numbers. kitchen being one of the most important parts of the home, there are a lot of things to consider more than in any other room in the home. Your kitchen will reflect how you live and there are no hard and fast rules on where to allocate spending in the kitchen for a kitchen remodeling project. How you spend and save your money will depend on what’s most important to you. In case you’re planning a functional kitchen in a home you wish to live in for the next decade and you wish to carry out a kitchen remodeling, and you can’t afford specific materials you need today, always remember there are options; For instance, as opposed to installing a granite counter top today, pick a laminate that resembles granite at a lower cost that can be a substitute as your work surface until you can afford to make an upgrade. You can derive the same value for some time from such substitute products. Be pragmatic and search for energy-efficient appliances with warranties as you are likely to utilize appliances more than any other features in your kitchen. Stainless steel kitchen utensils is the most famous choice to help you achieve this at lower cost. Create a balance between what you spend on appliances and cabinets. If you pick appliances first without considering cabinets/hardware, countertops or different features, you can box yourself into a floor plan and wind up without enough money to spend on other features. However, be cautious which appliances you spend on. For instance, a refrigerator may require being replaced in 5 years or sooner, yet a cooktop will last longer. Spend there. If the counter top is the focal point of your kitchen, you may spend more. A stone counter top costs commonly more than a laminate one, however, this will increase the perceived value of your kitchen after renovation. While you are considering cabinetry, shading scheme and furniture like stools on the surface to pick, there are shortcuts if you need the beautiful surface on a budget. For example, there are assorted grades of granite (evaluated 1-5 or on different scales depending on the producer). As opposed to going for a grade 5, consider a grade 2, and the Kitchen will show signs of improvement. Additionally, some laminate items cost half the price of granite and mimics the design. A few costs that can increase your budget: delivery, duty and installation. Drawers, roll-out trays, extra shelves and extending cabinets to the ceiling adds to your price budget. Pick cabinets with soft close drawers and doors, which has advanced from luxury to a “Must” for convenience. While ceramic tile is incredible, run with porcelain on floors. Porcelain tile resists cracking and chipping and is a most loved for lower budget and longevity. Remember the size and pattern of tiles when making your budget. Consider large tiles for flooring, which give the kitchen an updated look and require fewer grout lines and cuts during installation. In conclusion, kitchen remodeling can be an incredibly positive thing for your home, for the present and more especially in the long term. As a homeowner, remodeling your kitchen will enable you to enjoy the comfort a new kitchen provides and give you the peace of mind that when the time is ideal for you to offer your home for rent or sale, the remodeled kitchen will assume a significant part in attracting potential purchasers. Check out more of our articles about Furniture tips and designs, HERE. Why do we love what you do? Do you appreciate going to work each morning? Here at Possible and Affordable Furniture, we believe in what we want to accomplish. We provide quality, affordable and functional furniture to our customers, and we love doing that. Be that as it may, why precisely do we love furniture and why should you love our furniture? We have unique designs that will meet your needs in terms of beauty and comfort. We love creating new looks and feel that makes the WORLD to people. Our consultants truly have faith in what they are selling to you and won’t sell you a piece that they figure you won’t be content with. You browse through our catalog filled with different designs when you enter the store, and then you have your space when shopping. Individuals don’t buy furniture solely as a result of style any longer. Furniture must be comfortable and inviting. It must be practical and have a reason in their home. You know that feel, the feel of its made for me. Thats the thing. we create it for you to feel coozy with it. Just like our name(Possible and Affordable), our prices are affordable, of high calibre and sleek. We frequently have awesome deals and they are truly first class! We love it when we are able to bring down the prices to your level and you smile at getting it at the best price ever possible. We give luxury for less. Furniture that we sell are valued to be affordable for anybody, regardless of what your income is. What more? Just for you to keep loving this, we are working on offering you incredible financing options! To view our products on promo click HERE. Many people say that “People don’t make things to last long anymore.” Well – the furniture that we sell is built to last long. We love it when we hear from some of our customers that they have had their set for more than 5 years! Woooo, that it….they love the furniture, we love their feeling. You need to have surroundings that makes you feel calm and relaxed. Productivity and aesthetics can be well combined for a healthy living as well as better living. The style and shade of furniture can be either conducive to these feelings or hinder them. You need to create an atmosphere that will make your family and friends feel happy. If people appreciates your taste in furniture, they are admiring your perception of beauty. Having a home that brings your family together, share love together and interesting to other people likewise subconsciously encourages them to visit more frequently, which would be beneficial to your social life. Design your home in a way that will look like you have traveled all over the world experiencing different cultures and personalizing them. what a way of life that will be. Being comfortable with your home’s furniture means you have one less thing to worry about. Possible and Affordable makes this all Achievable. To read more articles about Furniture tips and designs, click HERE. For some individuals, the furniture they select merely matches a topic or shading scheme. Assuming you choose your furniture for comfort reasons, you’ll be expressing gratitude toward yourself not far off. In particular, if you suffer from back pain, selecting a recliner, zero gravity chair, or massage chair can increase your comfort level at home. Comfort should be a huge factor when choosing furniture. Having uncomfortable furniture makes your guests uncomfortable, which can include stress while hosting a party. For reasons unknown, there is a sure self-satisfaction and smugness associated with having an incredible living area. While you may not understand it at first, it is a boost to your self-esteem. Knowing that you have impeccable taste when compared to your peers or current trends boosts general well-being. Regardless of what your style, decorating your dwelling with awesome furniture can lead to happiness, which can lead to increased productivity elsewhere. When you return home from a full day of laborious effort, you might be tired and irritable. There’s no better method to enhance your mood than a satisfactorily furnished house. A blend of comfort, shading, and your general taste and expression can be the best medicine to make you and your family feel better quickly. Regardless of what style you acknowledge or what makes you feel happy, you have the ideal canvas in your house is to influence it to appeal to your particular style and to promote soothing settings. Taste in furniture differs from person to person. The most important aspect of decorating your household senses. Regardless of whether you are blessed with the gift of exemplary interior design taste, enlist the assistance of friends, spouses, or family to enable you to set up your place to give you a refuge from the outside world. You can discover a lot of inspiration and ideas on possible and affordable website for furniture that can suit your taste by clicking HERE and Wow your friends where you find a variety of furniture which includes Bedroom furniture, Children room furniture, Living room furniture, Dinning room furniture, Kitchen furniture, and Office furniture. Your home is supposed to be your solace from the stresses of the outside world. That is the reason it’s imperative that you set your living region up precisely as you need it. It contributes to a healthier lifestyle, both rationally and physically. By selecting the correct furniture, you can unwind at home and jettison the outside world. Decorating is an awesome method to draw out your innovativeness, however knowing the best approach to do it is vital to a more joyful home. There’s a multitude of benefits associated with a decent night’s sleep. If you spend little additional cash, you can purchase a comfortable mattress and bedroom set that will promote an unwinding atmosphere. The most natural advantage of this is a decent night’s sleep contributes to enhanced memory. The more rested you feel, the more dynamic you will be. Exercise is an awesome method to relieve stress, and getting an appropriate night’s sleep will give you the vitality you have to exercise. While not every person is a self-focused person, there’s an incredible inclination in knowing that you are the envy of your friends. One approach to assume this part is to have a finely finished home or flat. Home staging is something that even the most lackadaisical person can do with success. Once your condo is completely furnished, you’ll be the envy of the majority of your friends. Some of your friends may even come to you for decorating appeal, hoping to make their home radiate the unwinding and comfortable vibe that your place gives off. You can discover a lot of inspiration and ideas on possible and affordable website for furniture that can suit your taste by clicking HERE and Wow your friends where you find a variety of furniture which includes Bedroom furniture, Children room furniture, Living room furniture, Dinning room furniture, Kitchen furniture, and Office furniture. See next article for the continuation of The Impact Of Furniture On The Overall Well Being. Parents, do you need your kids’ bedrooms to be relaxing where they can decompress and get away from the academic and social weights of school? Try not to assume that means muted hues and calm sanctuary. Give the kids room a chance to mirror your child’s identity. A lot of parents find that hot pink walls are better than hot pink hair, right? It’s just a can of paint. Such a space allows kids to act naturally because working with kids to make an organized, multifunctional and comfortable bedroom with an exciting shading palette. An initial step to making an impressive space for kids is characterising what purposes the room must serve. Most kids need more than rest in their rooms. They play, do homework and entertain friends there. Make a place for everything of the room’s primary functions. If a child intends to study in the room, supply a work area, seat and great lighting. Make a perusing niche. For the child who likes to have friends over, provide a seating region regardless of whether it’s simply pads and a carpet and have mood lighting or even decorative string lighting. Create separate zones enables kids to relax because it makes a feeling of structure. Wall shading can impact your mood. Maintaining a strategic distance from essential colours in favour of more natural or neutral tones such as greens, browns, light pink, purple or soft blues as It is less demanding on the eye and the brain. To promote relaxation, consider using softer or less immersed variants of the bright colours used as a part of kids’ rooms. In case you’re worried that your child’s shading decisions could get excessively bold, pick several colours you could live with and let them select from those. You can likewise use different elements to include the pops of colours that kids desire and consider painting a beautiful accent wall, or adding an energetic carpet or designed sofa. Acquire brighter tones with secondary pieces. Give your child a chance to help pick the room’s subject, because, if you need it to feel like their sanctuary, it should be their space. It can be simple and reasonable to join a favorite interest, sports group or movement into the room. Decals, bedding, artwork and embellishments can feature a child’s interests, and are anything but difficult to change out as they get more established. Writable surfaces such as chalkboard paint or expansive marker boards additionally let kids customize their room. Provide bins, shelving and storage that children can reach to take out and set away from their things. Everyone appreciates a clean room: Clutter can cause anxiety, in spite of the fact that children may not comprehend that. An organized room will enable children to relax, and a ton of clutter and toys can keep kids’ brains activated, a similar way having an office work area in your room or a heap of unpleasant papers close to your bed may improve the situation you. Consider including a shelf or bulletin board where kids can display items since Kids are exceptionally vocal about the things they like. Take a better look at their interests and check whether you can transform it into a bit of artwork. Buying a sofa is a big investment, so you want to make sure you’re making the right decisions and choosing a sofa that fits your lifestyle and budget. A good sofa can last you years and years, so it’s always a good idea to do some research beforehand to ensure you get one that’s perfect for you and your home. There are a few things you’ll need to consider aside from the size, such as the filling and the frame your sofa is made from. When it comes to the filling of your sofa cushions, this can affect how comfortable it is! Foam fillings are the most affordable option, and there are a variety of foams you can choose. They provide comfortable support and are the most popular choice for sofa seats. Other alternatives include duck down and feather, a luxurious and opulent filling that is reflected in the price. There are many options when it comes to choosing sofa fabric, but it’s important to select something that suits your home and how you will use it. The leather is a popular option, being extremely durable, easy to clean and improving with age. It can work for both traditional and contemporary decor, but it does not suit the Nigerian weather being very hot and many people can not afford to have A/C switched on round the clock. The leather is a great option for families and homes with pets, as it doesn’t harbour odours or stain easily. Fabric tend to be warmer and cosier and can be much more affordable. Be careful if you have pets or children, however, as they are much more prone to stains and odours. It goes without saying that you need to make sure the sofa you buy fits comfortably in your home. Other things to consider include the number of people who will be using it and whether it will fit in comfortably with the other seating you have in the room. You might want it to be the centerpiece of your living space, or perhaps just to complement furniture you already have. It’s also important to make sure it will fit through the doors on its way to its new home! The greater part of us spends over half of our lives indoors. This impacts our psychological status, activities, capacities and our activity execution. Research demonstrates that representative profitability and joy can come about because of a superior work condition. That awesome condition begins with office furniture and its plan in other words its Office Design. 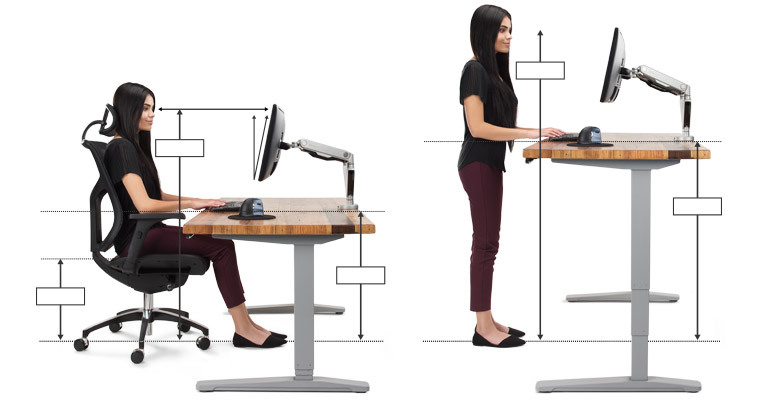 We’ll take a better at how office furniture configuration influences efficiency and feelings. When we discuss office furniture, we’re discussing work areas, chairs, documenting frameworks, gathering rooms and meeting regions. These pieces all have a part to play in the correct working, profitability and productivity of the representatives utilizing them. A standout amongst the most critical things to consider when buying and putting office furniture is regardless of whether it’s ergonomic. Keep in mind; representatives are inside about a large portion of their lives sitting in their work areas. If utilizing their chairs and PCs causes inconvenience, your representatives will be less gainful and despondent. Today, representative joy and fulfilment matters. 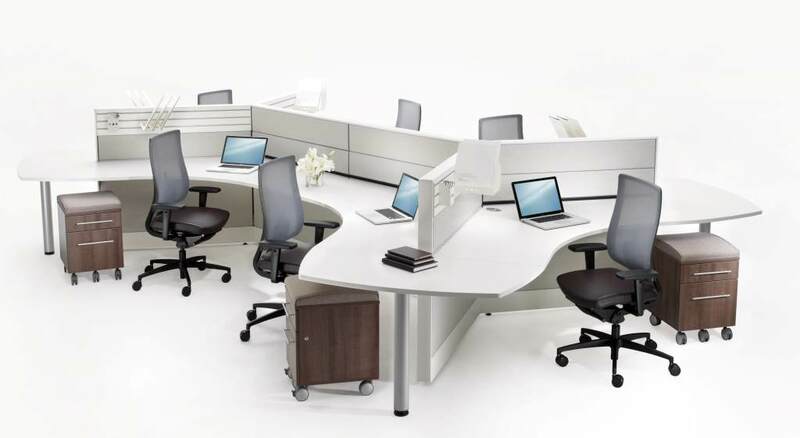 Giving ergonomic office furniture gives your representatives motivation to remain motivated and work hard. Purchase ergonomic chairs to calm spinal pains and make workers agreeable. Give workers a chance to pick their seat. A one-measure fits-all approach won’t work for everybody. Give representatives a chance to choose the measure of their work area including width and particularly height and give stockpiling choices that work to the worker’s day to day errands. Make an intriguing air that isn’t sterile, so you increment profitability and representative joy. Straight edges and Round edges. 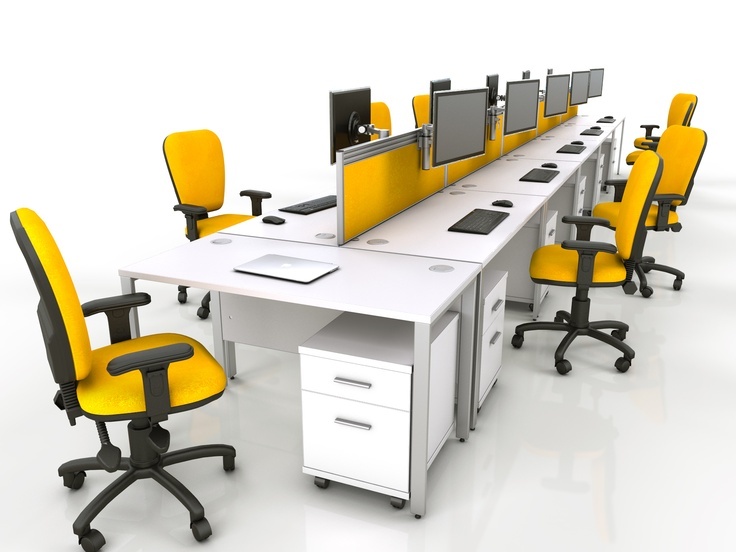 Which is better for office furniture? You’re likely comfortable with King Arthur and the Knights of the Round Table. We should think about King Arthur’s round table. He knew something when he made his round table and had his knights lounge around it. Sitting in circles incites innovativeness and leads the general population present to work with an aggregate attitude. Balance that with sitting in straight lines or at a long rectangular table, and this setup triggers sentiments of independence. What precisely was King Arthur on to? He realized that the round table would give more beneficial discourses and considerations. Be that as it may, all the more imperatively, his round table, with no “head,” suggested that everybody sitting at the table had approach status and was on the square with balance. Consider a round table for your meeting room, and you’ll see that representatives have expanded flexibility to share and upgraded innovativeness that get from sentiment fairness. In the mid-1900s, representatives’ work areas all confronted their administrator. The 1950s saw vast workplaces involved by chiefs and a warm-up area loaded with the “general” workers. The desk area was introduced amid the 1960s, while the 1980s-90s saw cubicles getting littler as supervisors attempted to pack in workers. Moving from the 1990s-2000s, office directors started playing with an open idea course of action to empower worker correspondence. In the year 2015, tech goliaths are driving the route towards flexible, community-oriented spaces. The present worker regularly gets the chance to pick how and where they work. In workplaces like Google, you may discover common work area spaces, yet you may find regions that resemble a parlour. These give regions of the joint effort to unconstrained exchange and advancements. As per ecological brain research, an office and the furniture in it can either cause the worker worry or make them imaginative, beneficial and cheerful. Surround workers with relieving hues, ergonomic office furniture and very much put and outlined gathering zones, and you’ll see they are more beneficial and more joyful. When thinking about how to set up your living room or how to make your home look better, most of the time the first thing that comes to mind is the type of Sofa set you choose. The sofa set sometimes covers more than the average part of the room. It is responsible for that welcoming look that assures optimum comfort regardless of the amount of time spent in the room. Now let’s discuss this big question, why do you need a Sofa set in your living room, bedroom, office, boutique, hotels and any other space? Imagine your space without a Sofa, imagine inviting a guest without a space to sit and relax, imagine you coming in to your house after a long day to discover you can’t even sit done for a while to relax your brain while watching your favorite TV program or movie before moving forward to the other part of your apartment. Not just a Sofa but a quality and long lasting Sofa goes a long way on defining the purpose of your space. Your Living room Sofa or couch represents your home, just like your branding sometimes determines who you are. The Sofa set in your room determines your standard of living to your guest and even to you yourself. You get that exciting feeling when your living room is welcoming enough for fun, relaxation and invitation. Sofa set brings that completeness to your space especially when it all blends together with all other interior decor equipment. Most times a Sofa set complements the whole apartment structure and design to bring out its beauty. A sofa set promotes your level of interaction with family, friends or host. A comfortable and attractive setting usually gives a welcoming impression as well as positive outcome on the most important discussions that might seem difficult at first. A Sofa set creates that social feeling that speaks out the meaning and purpose of your living room. There are different kinds of Sofa set to suit different weather, occasions, seasons and plans. In terms of clothing material, Sofas are made in leather, fabric, sleek, wool and many more materials to suit different body feel and styles. Looking for where to get a suitable Sofa for your space, visit possible and Affordable, an online and offline store that has everything you need in a Sofa. We can plan your space and ensure you have the perfect look and amenities you deserve for small or large space, we introduce modern interior design method into all space.